Parents have started removing their children from a Schweizer-Reneke primary school in the North West amid protests outside the school reports EWN. The North West premier stated that the teacher involved in the incident has been suspended with immediate effect. The school stated that this is an isolated incident and its ethos is one of inclusivity. In the photo, 18 pupils can be seen seated around a large table in the classroom while four black children sit separately at a smaller desk in a corner of the classroom. EWN reports that North West premier TJ Mokgoro says he's shocked by the images circulating on social media and a team has been dispatched to Laerskool Schweizer Reneke to investigate. After the original photograph began circulating widely on social media, it appears the seating arrangement may have been changed. SAHRC's Advocate Bongani Majola says it is worrying that complaints relating to equality still rank at the top in South Africa. 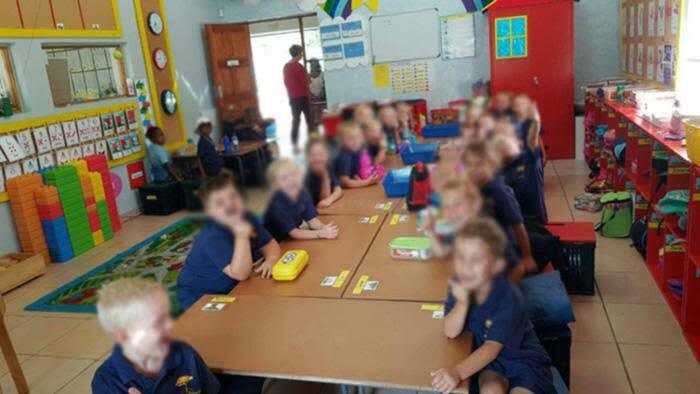 The School Governing Body at Rustenburg Girls' Junior School (RGJS) has broken its silence on allegations of racism at the school. Gautrain CEO Jack Van Der Merwe says the incident was very unfortunate and that security personnel will get diversity training.